Bedspreads, bedrunners, cushions bolsters and bed valances can be made for all sizes and styles. 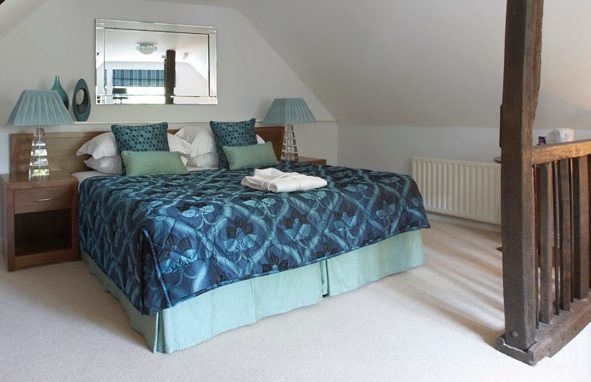 From standard singles to country house hotel four-posters or king size beds in trendy, boutique hotels, our contract bedspreads can be made for all sizes and styles. Options vary in style from simple, loose throwovers to fitted bedspreads, and can be lined, unlined or quilted. To complete the look, you can choose from a range of accessories, specifically made to match or complement your curtains. Cushions and Bolsters in a variety of shapes, sizes and textures to complete your design. Bedrunners this contemporary bed accessory can be quilted, lined or unlined, and half or full width of fabric. Bed Valances can be made in various styles to give you a co-ordinated design finish tailored to your bed size.